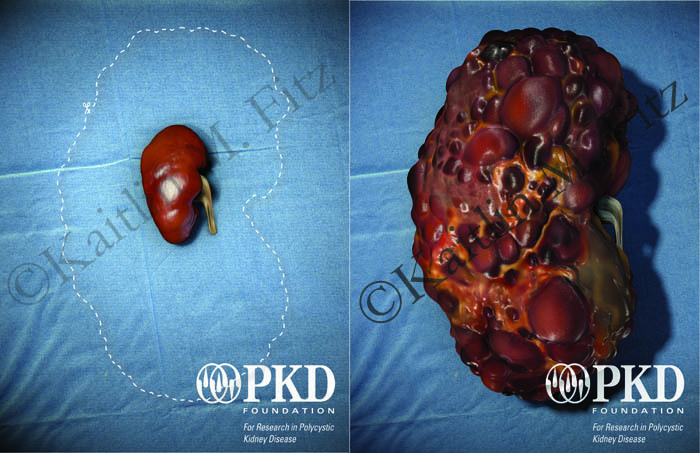 This is the (mostly) finalized render of my Polycystic Kidney. 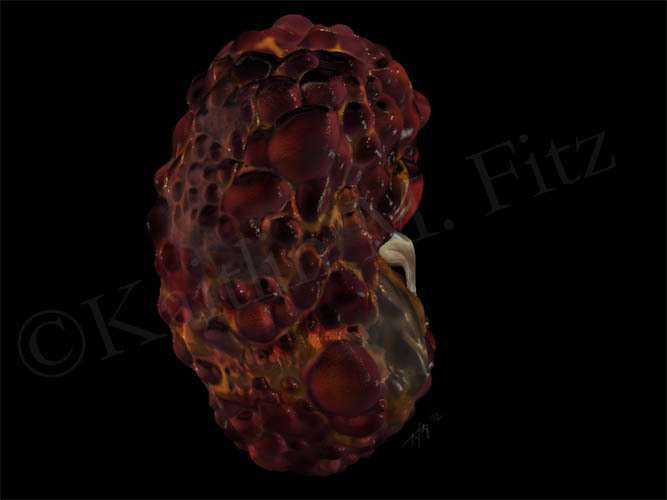 It was sculpted and painted initially in Mudbox (based on photos of real polycystic kidneys) and exported into 3D Studio Max as a lower poly model (a model that is not as exact, but a much smaller file size). It then had to be (constantly) adjusted to emulate what I had made in Mudbox. With an accurate, healthy kidney I extracted from Mimics (the program that generates 3D models from patient scans), I made this magazine spread/ad. The scene was lit entirely in 3D Studio Max and small adjustments made in Photoshop.